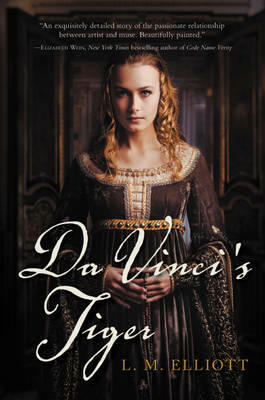 For fans of rich and complex historical novels like Girl with a Pearl Earring or Code Name Verity, Laura Malone Elliott delivers the stunning tale of real-life Renaissance woman Ginevra de' Benci, the inspiration for one of Leonardo da Vinci's earliest masterpieces. The young and beautiful daughter of a wealthy family, Ginevra longs to share her poetry and participate in the artistic ferment of Renaissance Florence but is trapped in an arranged marriage in a society dictated by men. The arrival of the charismatic Venetian ambassador, Bernardo Bembo, introduces Ginevra to a dazzling circle of patrons, artists, and philosophers. Bembo chooses Ginevra as his Platonic muse and commissions a portrait of her by a young Leonardo da Vinci. Posing for the brilliant painter inspires an intimate connection between them, one Ginevra only begins to understand. In a rich and vivid world of exquisite art with a dangerous underbelly of deadly political feuds, Ginevra faces many challenges to discover her voice and artistic companionship—and to find love.